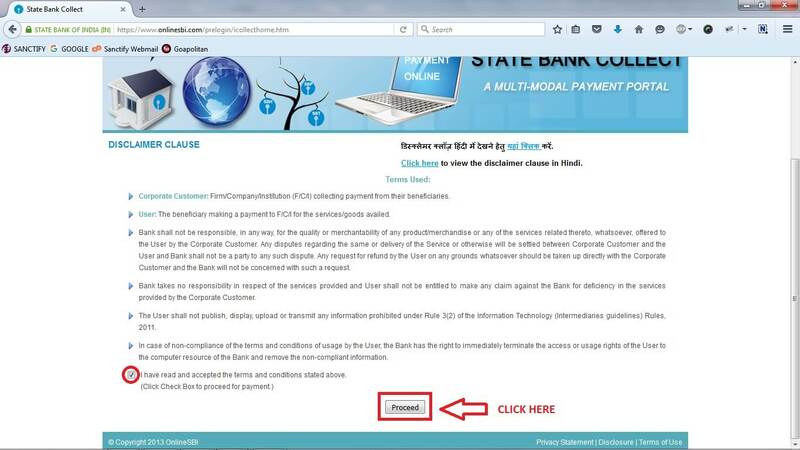 Make Online Payment to us by following Step 1 to Step 6. 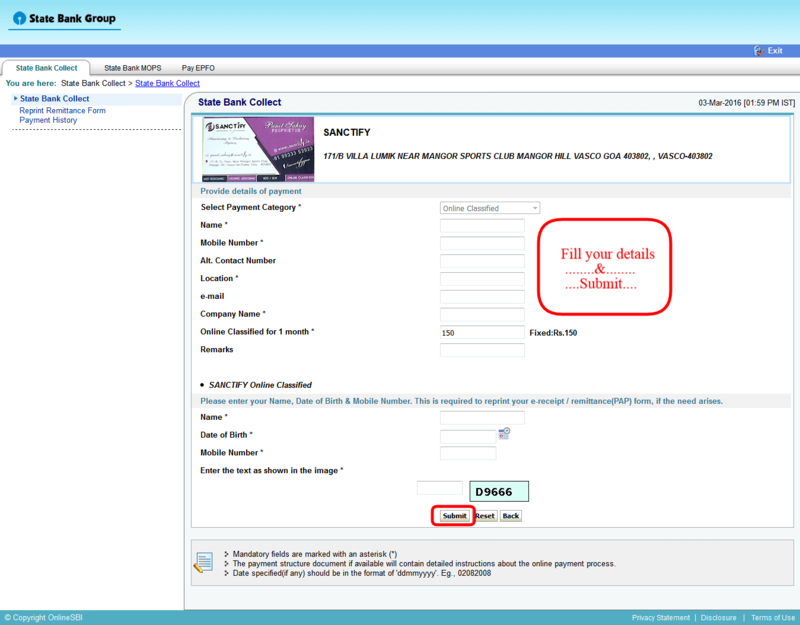 NOTE: Inform us after making the payment via sms to 99233 52923. 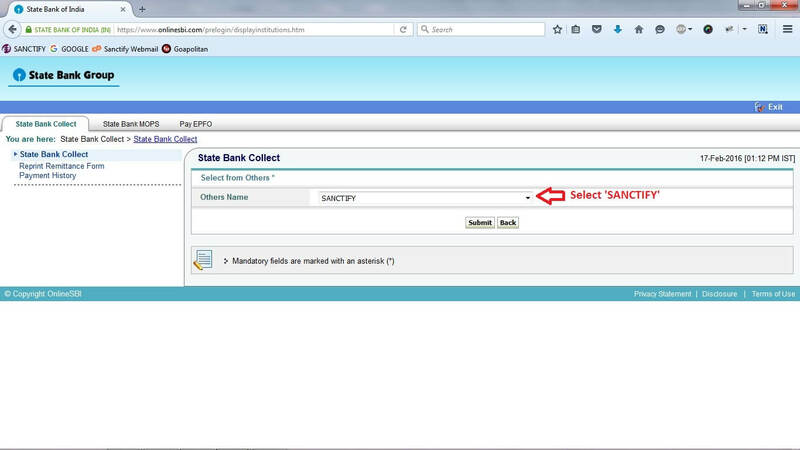 The payment amount denomination is fixed. 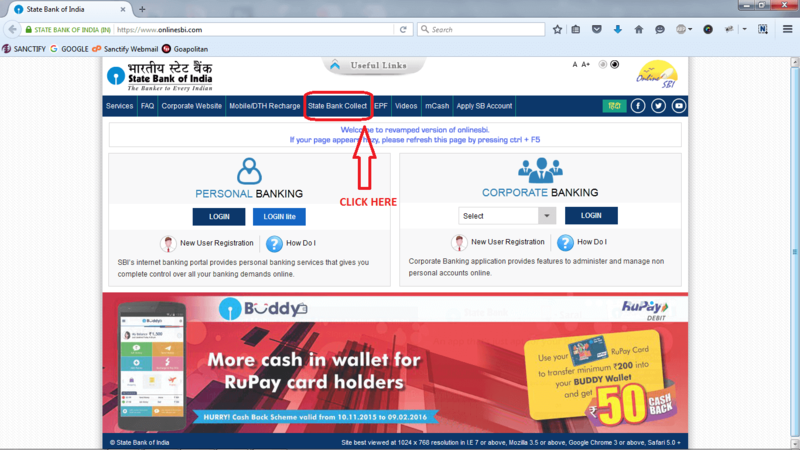 We will NOT entertain any Refund Request as per our company policy. 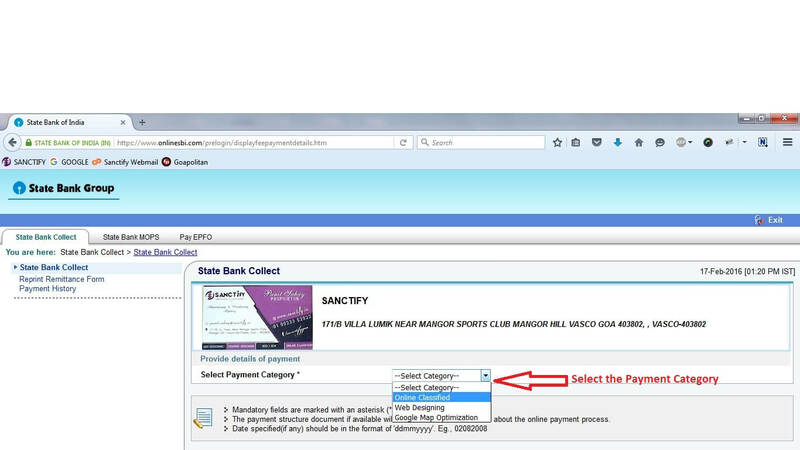 Step 2: Click Check Box and proceed for payment. 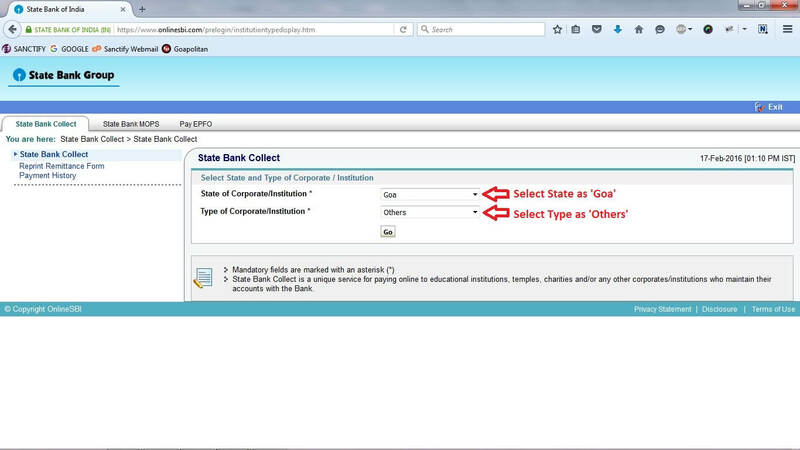 Step 3: Select State as “Goa” & Type as “Others“. Step 6: Fill in all the details & submit.